While testing a drug to cure Alzheimer’s on chimpanzees, Will Rodman (James Franco) discovers a side effect being dramatically increased intelligence in his test subjects. After an experiment goes wrong, Rodman’s company chooses to end this project, and that includes killing all of the chimpanzee test subjects except for one, which Rodman raises as his own. With a cognitive ability on par with humans, this chimpanzee soon begins to question life as a species lesser to humankind. Overall, the story was good with pretty solid acting from an all-star cast (John Lithgow and Frieda Pinto to name two). The problem I had was that it was a little predictable at times, though that may at least be partly because I have seen the original Planet of the Apes. Even besides the ending, I did call a few things out before they actually happened. I guess the issue I really had was how many of the themes of the movie are kind of cliched by now, especially the mistreatment of animals thanks to Tom Felton’s character. I feel sorry for Felton. The success of the Harry Potter films led him to be typecast as Malfoy-esque douchebags, and he plays exactly that in Rise of the Planet of the Apes. Overall as a science-fiction movie, I felt it was largely in the same vain as Avatar which came out a couple years ago. While the special effects were nice, the writing wasn’t really anything special. Also the effects of another drug that Rodman developed was something largely ignored in this film, so I suspect there is going to be a sequel that centers around that due to how the ending hinted at it. 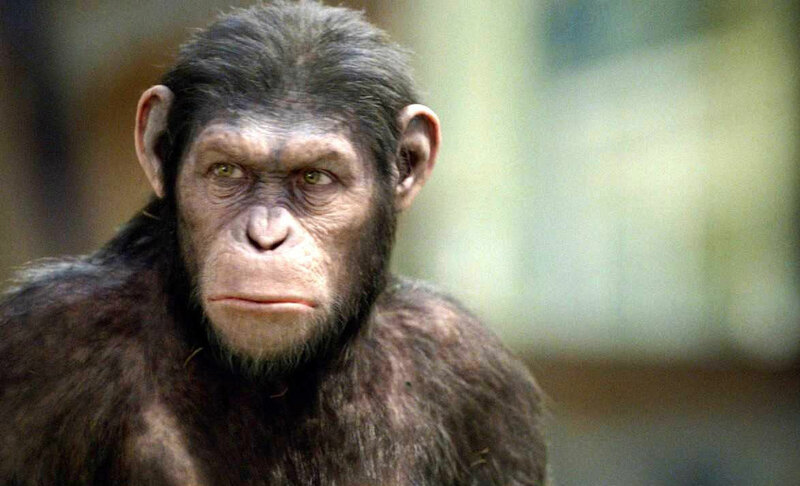 Rise of the Planet of the Apes works as good entertainment, but didn’t really do much to really make science-fiction movies matter; I kind of feel that is a dying genre, and I’m still waiting for a really high quality science-fiction film to come out. I agree that the writing wasn’t spectacular, and I don’t know if I would go see a sequel.